SIAE MICROELETTRONICA is amongst very few companies that can be considered a leader in the Telecommunications market for more than 60 years. The story began in 1952, in Milan, when Mr. Edoardo Mascetti founded SIAE, Società Italiana Apparecchiature Elettroniche (Italian Company for Electronic Equipment). First steps in the 60’s with television transceivers and analogic multiplexers; in the 80’s the change to digital technology and fist digital radios. Continuous research to increase the capacities of the products have characterized the years to come and expanded the market from Europe to the rest of the world in the 2000. Last year SM Optics is born with the transfer of the Optical technology research and development activity from Alcatel Lucent to reinforce the end to end capability which is a core strength of SIAE MICROELETTRONICA. 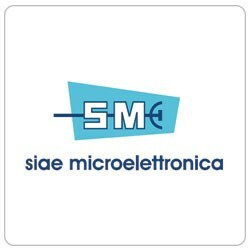 Now SIAE MICROELETTRONICA is become the company with largest Telecommunication R&D department in Italy. The headquarters is based in Cologno Monzese, north of Milan area. We are the largest privately-owned microwave design and manufacturing company in the world. SIAE MICROELETTRONICA is immensely proud of its heritage, products and customers. SIAE MICROELETTRONICA’s growth is testament to the excellence of our staff and the quality of our equipment and services, and hasn’t been as a result of significant external investment, acquisitions or mergers. We have more than 60 years experience for our customers advantage. The growth trend is constant since 1952, last year we had double digit growth +17% and reached more than 341 mln €. The growth trend is for us not only revenues but also on number of employees, particularly thanks to the ALU acquisition, on transceivers and number of world affiliates. SIAE MICROELETTRONICA is recognised as one of the most established market leaders in delivering innovative wireless transport solutions. Our product lines include microwave and millimetre wave radio systems from 6 GHz to 80 GHz designed for mobile backhauling, Carrier Ethernet aggregators, Network Management Systems and Network Analytics Performance tools complement our portfolio. SM Optics, a daughter company, is an excellence centre for Packet Transport Network solutions. With our Network Services organisation we deliver all that is required from professional services to network roll-out worldwide. Vodafone, Tim Brasil and Telefonica global are some of our main customers. SIAE MICROELETTRONICA has 1.114 employees in Milan and 456 employees distribute in our branch offices abroad.